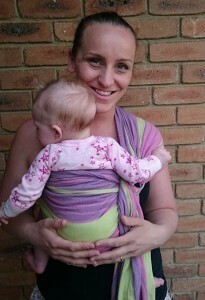 We were fortunate enough to be able to test out a Little Frog Ring Sling supplied to us by Woven Wraps Australia. I love the Little Frog Ring Sling colour range, so the joy with this ring sling started from just choosing which one I wanted to review! I chose the Alexendrite, it’s purple, pink and green. It’s very pretty and a little bit different. I like it. It’s a really long ring sling, I imagine it would be suitable for any sized wearer. Also it’s wide enough it easily reached from the back of my tall 2.5 year olds neck, around her bottom and to the back of her knees – so this ring sling should accommodate a babies right up until pre-schoolers. I wear my 2 year old a lot for walking and for a week I used the Little Frog Ring Sling the whole time. 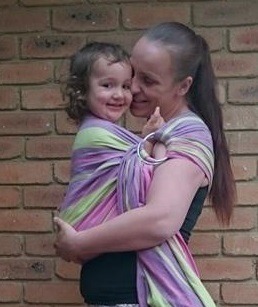 Keeping in mind she’s 16.5kgs, I would say a ring sling wouldn’t be my go-to walking carrier. It is possible – I did manage to carry her for about 2klm a day for a week, but I did start to really feel her weight across my shoulder and I do really prefer to back carry a toddler. I think is most amazing about the Little Frog Ring Rling is that folded up it fits inside my hand bag – not a nappy bag, I have a regular messenger bag style hand bag. 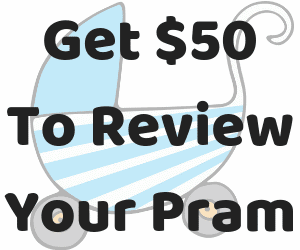 How many carriers are there that could carry a newborn to pre-schooler (I did pop my nearly 6 year old in it just for the sake of experimentation) that could fit in a handbag, that are this versatile and pretty for under $80? I think this Little Frog Ring Sling would be ideal for taking on short trips – where you’ll be popping in and out of the shop or dropping older siblings off at school as it is SO quick to put on. Also for when you’re taking out a pram, or toddler on foot, but you want a carrier in your hang bag “just in case” it would be absolutely ideal. 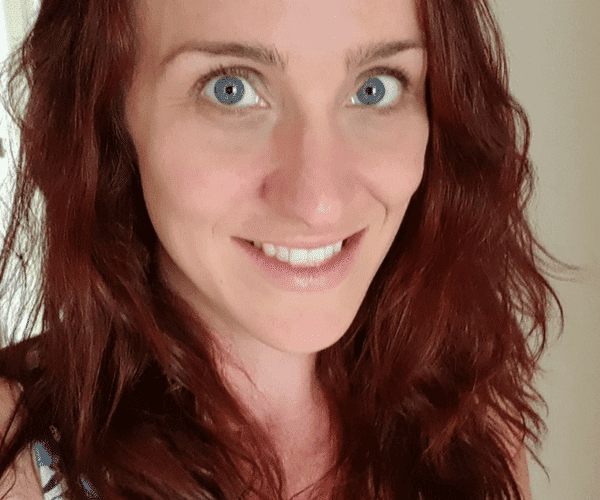 Leia (Mumma of said baby) has also written a full review on carrying her baby in the Little Frog Ring Sling which you can read HERE. Also because they’re so inexpensive – and I know I said this about the Little Frog Sunny Agat II Woven Wrap – it is tempting to get more than one in different colours to suit different outfits. Check out Woven Wraps Australia’s range of Little Frog Ring Slings HERE.